Well said. 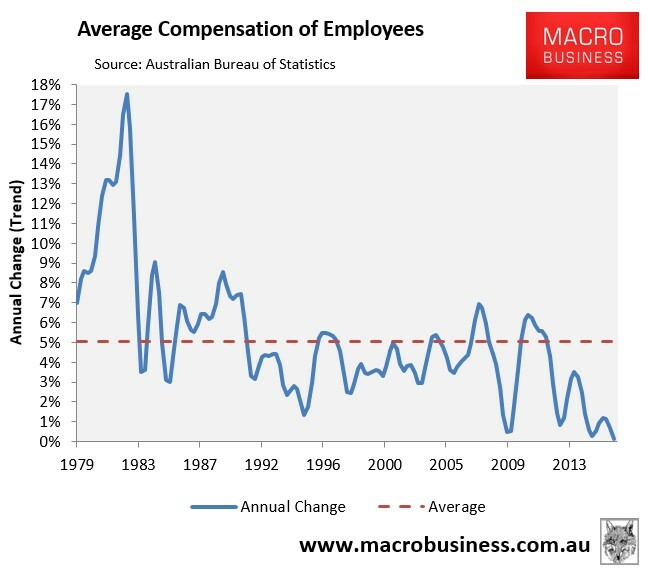 I have always found it irritating when interest groups like the Business Council of Australia complain about Australia’s uncompetitive wages and the need to cut penalty rates or the minimum wage, but conveniently refuses to address the egregious blow-out in CEO and senior management pay. And still, the business lobby continues to demand widespread cuts to company taxes so that they can further feather their own nests. Arguments around the need to boost Australia’s international competitiveness via wage restraint and tax reform would carry far more weight if the elites led from the front and agreed to share the burden of adjustment. …….dont mention medical professionals – Australia being home to the worlds most expensive, with the worlds most protected medical professional labour market to boot….. So true… UK medical professionals get around 50-70%, and surgeons often 40-50% of some of the big guys here. Could give examples and numbers, but thought better of it. I can confirm also. Those numbers sound about right. Gunna – at least medical professionals do some good. The Lawyer fraternity, on the other hand, is even more outrageously paid. Whether it only does harm to our society or just, on average, no good might be able to be debated. Personally I’m yet to meet one that contributes, net, in any way positively to the well being of society. P.S. While I think the MB fraternity takes a simplistic and wrong stand on the current penalty rates debate UE is spot on the money here with respect to the role of executive salaries. As someone who got out of law a generation ago I am inclined to agree with you. But I would note that any kid from anywhere can basically get into a law course somewhere these days – and in most instances their marks don’t even have to be that flash. Sure, to get some sort in of with a big and impressive firm where they can bill every moment to top dollar they will need to show some nous and some university scores – and those who do will command dollars. But the vast majority of law graduates these days don’t actually do much law and a lot tend to end up in the burbs fluffing real estate sales. But at the moment to get into medical professions you need to be able to chalk up a 99% secondary education score (which essentially means living in an educational humidicrib for a few years of secondary education – mainly achieved through being spoon fed), and this reflects the fact that intern positions in hospital and medical practices are limited by the accreditation of the medical associations – and these take the view it is better to keep return on investment levels up, while using immigration places as a release valve [while making the accreditation process for foreign trained doctors both expensive and demanding enough to keep them satisfied as GPs – where provided they can churn through clients at the appropriate rate, they will make a comfortable living]. Beyond that however is the not insignificant fact that unlike the legal profession very large slabs of medical income is ultimately derived from the budget through Medicare, and the ordinary mug punter doesn’t question the doctors (or specialists) charge beyond noting it is expensive and being grateful to a lesser or greater degree for the delights of Medicare or private health insurance. To add insult to injury (of the wallet kind) I am currently looking at a doco suggesting that the most lucrative (highest margin) medical imaging, pathology, physiotherapy, psychological and dental establishments (and GP’s) tend to be alongside (and drawing the bulk of their clients from) large military establishments – Townsville, Kapooka, Singleton, Puckapunyal, HMAS Cerberus, Darwin, Wagga, Russell and the like – with the budget providing the bulk of that margin too. Think you can add Canberra to that defence list, too. What you’re saying is that there are poor market signals in medicine in Australia. There are certainly poor signals to maintain your own health. Is this not one of the purposes of taxation ? Taxation is only a partial remedy for a dysfunctional market. Yes it needs to happen. But good luck with that! It would solve so many problems. Not the least of which is improving our global competitiveness. Wages set prices. Wage inflation eventually ends up as price inflation. 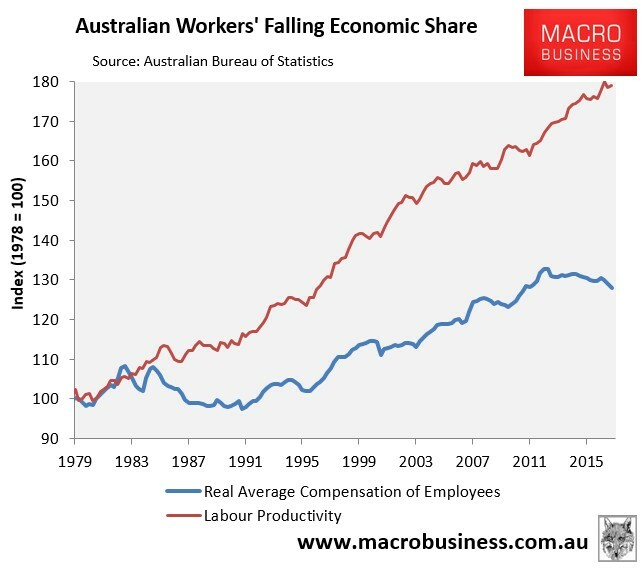 The fact that wages have been stagnant for the past 10 years is only beginning to show as stagnant prices in the cooked and crooked CPI. And if it shows up in there, you know it’s bad, bordering on hopeless. Wages can’t come down by any meaningful amount with all the debt everyone has. 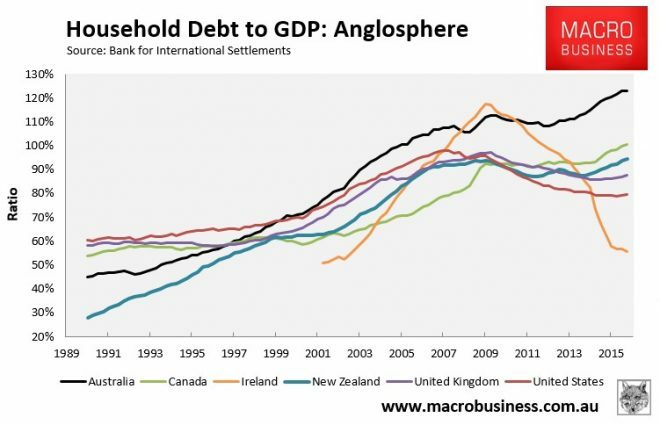 Maybe the elites aren’t terribly indebted? In fact they probably aren’t. It is the stupid rubes who took on the mountains of debt to hand over to them to make them all instantaneously rich beyond measure. Don’t forget that the more debt you have the more inflexible your wages are to coming down. So unsurprisingly we see the wage cuts aimed squarely at those who are expected to have the least amount of debt – young people and generally people who were on crap wages to begin with. The whole place runs on debt, created/borrowed by the banks, and secured against property. Vehemently protected by the ruling class beholden to their banking masters. Once you start thinking like that, a lot of stuff begins to make sense. Switzerland recently had a referendum on executive pay and of course the Swiss people voted to ban golden parachutes. Will the ALP do the same? What is Pauline’s position on golden parachutes? I bring this kind of thing up at branch meetings and most members agree that its the Labor parties traditional roll to make a noise about this kind of stuff. Only a large, broad based and active rank and file can keep these competitive apparichiks in check. Jacob,…Why don’t you join the party and help MAKE them do the same. Can someone tell us how much truck drivers get paid in Norway? Aussie truck drivers should not be paid any less than that. And foreigners should be banned from driving trucks on public roads in AUS. 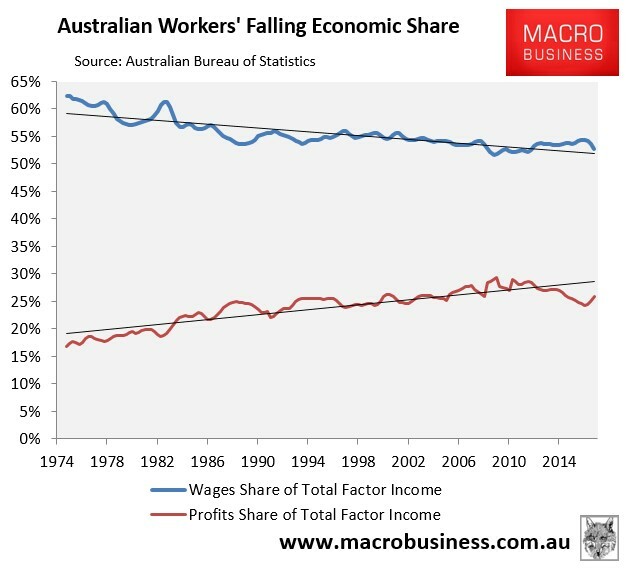 Meh wages have been stagnate for decades, its only the ratio between floor and C-suit that has exhibited hyperinflation all whilst productivity went parabolic. By globalising the cost of labour, the elites have made a fortune. It’s simple pieconomics, you invite 2 X as many people to dinner, make the pie twice as big and give everyone a half sized slice. You end up with a whole pie to yourself. Growing the pie bigger…. chortle…. I can still hear that coke head Larry Kudlow….